Zipline Pub. 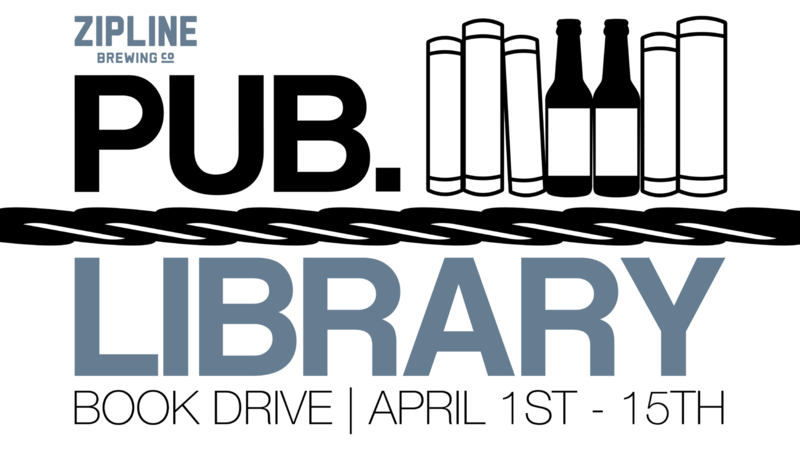 Library Book Drive - Zipline Brewing Co. Donate your extra books to help build the Zipline Pub. Library and support City Libraries. Bring books to any of our retail locations April 1-15. Your donated books will become part of our new lending libraries. Any excess books will be donated to the Lincoln and Omaha City Libraries. Don’t forget to obtain your free Zipline Pub. Library card, which will allow you to check out books from your local branch.